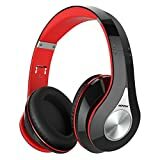 Want Beats-like sound at prices you would never even imagine to be possible for quality headphones? Today is your lucky day. Black Friday 2018 has brought tons of different deals on killer headphones from all the biggest brands like Beats, Bose, Sony and more. But even on sale at deep discounts, those headphones are all still quite expensive. But the good news is that two of Amazon’s best-selling pairs of affordable headphones are on sale for Black Friday 2018, and they’ve each dropped to the lowest price ever. 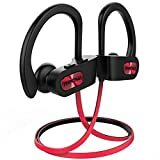 The Mpow Flame Bluetooth Headphones are water-resistant Bluetooth earbuds that offer terrific sound quality and typically sell for between $20 and $27. Use the exclusive coupon code BGRFLAME8 at checkout, however, and you’ll pay just $16. If you’d prefer over-ear wireless headphones, the Mpow 059 Bluetooth Headphones have been Amazon best-sellers for years at $36. But with the coupon code MPOW1122 you’ll only pay $28!